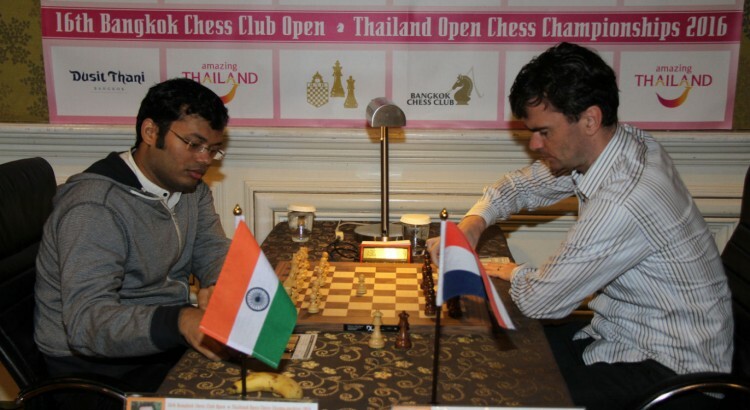 Thailand’s strongest-ever tournament was decided only after five hours play, when long-time leader Loek van Wely resigned for the first time in the tournament to a determined Ganguly, 33. 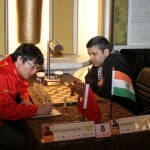 Ganguly’s tiebreak win made up for the heart-break of 2015 when he defeated leader Wang Hao in the final round only to see Nigel Short edge him out on a tiebreaker. 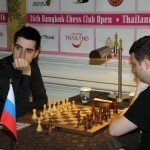 The final round of the Bangkok CC Open began early on Sunday morning at the Dusit Thani Hotel with five possible winners, all highly ranked Grandmasters. 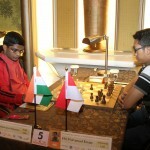 Benjamin Bok and Ildar Khairulin of Russia knew that only a win would be enough to have a chance for the title but Dutchman Bok could not break through Khairullin’s defences and the game was drawn, leaving the two players half a point away from first place. 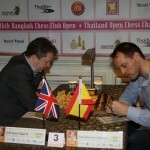 Top seeded Vallejo was paired against English veteran Nigel Short, half a point behind the leaders. 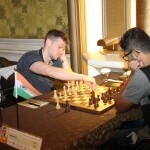 Short, who insisted on playing with the UK flag rather than the English flag, attacked early but Vallejo crashed through on the counter-attack to become the first player to reach 7.5 points. 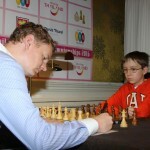 Then the Spaniard had a nervous wait to see if Ganguly or Bok could equal his score, and Ganguly managed to do so. 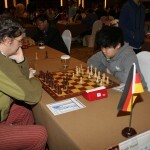 The top Thai player for the tournament was Jirapak Pitirotjirathon who finished equal with Wisuwat Teerapabpaisit, Thanadon Kulpruethanon, Thoetsak Wongsawan and Jarunpol Sajjapornthep but had a superior tiebreak score. 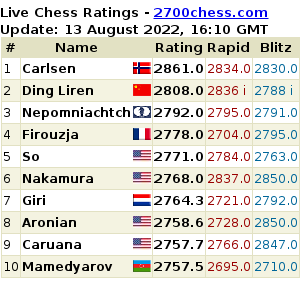 A record 331 players from 43 countries competed in the Open, Challengers and Blitz tournaments, including 13 Grandmasters.